In terms of investigators progressing, we've been kind of struggling. The Vulnes family really have great intentions to know the truth, but it is so hard for them to sacrifice to keep the sabbath day holy (mainly COME TO CHURCH!!!) Hno. Johnny works in a taxi and believes that he HAS to work on sunday, even though we have explained so many times the blessings the Lord is willing to give him if he comes to church for 3 hours. THe less-active family we are teaching, Jesus and Maria, have the same problem. Its been a bit frustrating, but learning to have patience and going forward with faith, even when things don't go 'our way' has been a big lesson for me this week! However, the Lord always sees ALL our efforts and will ALWAYS bless us for them. Sometimes we might not see them right away, but then there are those little miracles that pop up out of nowhere that show us just how much our Heavenly Father loves us. One of those little miracles was that we were able to go to the TEMPLE with our ward this week!! We didn't think we could go because we need to have a recent-convert or someone who just was reactivated in the church to go, and NOBODY could come. So we were super bummed. I was on an exchange one day this week and when I got back my companion was super excited because a sister who has recently reactivated said that she didn't have to work and that she could go to the temple with us!!! We were SO HAPPY! We were able to go with Hermana Gloria and the whole ward! We went in this huge bus (its 2 1/2 hours to Trujillo) and were able to spend the WHOLE day in the temple! We did baptisms with Hermana Gloria and there was that sweet spirit that is always in the temple that I just love! Then as we were leaving, we saw PAPA JUAN!!!! The husband of my pensionista in CARAZ!!! (he's the one with the green van) as well as a BUNCH of the members from Caraz!! There were 3 young adults getting their endowments out to go on their missions, so they all took a trip. We got to go and eat lunch and everything with them!!! It was such a tender mercy! My companion Hermana Landazuri, also saw a bunch of people from her old wards there too. SO AMAZING. So I hope you all have a wonderful week! I know that the Lord is watching and sees ALL our works and the blessings will always come! Sorry, but I don't have much this week!! I just wanted to share a few things about this week!! First off, I'm learning a lot about enduring to the end and seeing the silver lining in all that happens! We really haven't had much luck this week finding our investigators. It's kind of like herding sheep! But I know that this week we will find some amazing people to teach that are really going to progress! I'd just like to share a cool experience that really built my testimony in the power of the Sabbeth day in our lives. I was feeling a bit down and burdened. But when I went to church, to just sing and feel the spirit, I felt at PEACE. We even had to teach because the teacher didn't show up!! I know it was the Lord's way of blessing me!!! WOW!! This week has been QUITE the rollercoaster! Its always an adventure to change areas! 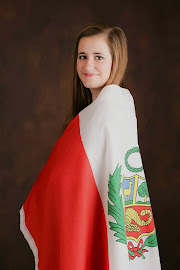 My comapnion is Hermana Landazuri from Ecuador and she is so funny! But I'm excited to be back here in good ole' Chimbote, LAND OF THE FISH (mom you would love it 😜)! My area is called El Carmen and it is SOOOOO TINY! But there are so many wonderful people that are ready and prepared to hear the gospel! Also, we are teaching a family of less actives, Jesus and Maria. Jesus is a returned missionary and wants to come back to church so bad. But Maria has got a bit of a hard heart. But I know that the Lord will be able to help her out. OH!!! Cool thing! The other night, we were planing when the window starts vibrating and this deep rumble fills the air. Now little earthquakes here in Chimbote are super normal. So we just sat there listening when all the sudden there was a super big quake and all the stuff on my desk goes tumbling off! We pretty much both just bolted for the door!! But luckily there wasn't anything else! It was AWESOME. But ANYWAY :) I found a super cool scripture. Its in Alma 37:6-7. Super well known but I love it. 6. Now ye may suppose that this is foolishness in me; but behold I say unto you, that by small and simple things are great things brought to pass; and small means in many instances doth confound the wise. And I just love how its through SMALL things that the hand of the Lord is shown in our lives. Its true--miracles do happen. I have noticed lately in my life, when I think that nothing is going my way, that the Lord is trying to TEACH me through small things and that He knows my struggles and has a plan for me. A plan that will bless my life AND the lives of those I teach! And that the only way I can see those 'small and simple things' in my life is through the spirit! As I listen to the SPIRIT and not the voices of the world or temptations of Satan, I can really see the blessings the Lord gives me every day! Hope all is well and that everyone had a GREAT Mother's day!! It was so awesome to see my family and hear their voices again! This week was a bit slow, but we still saw a few miracles! Mainly we were able to find a few recent converts that have gone inactive and we haven't been able to find for MONTHS. One is a teenage girl named Olenka. She was baptized but then her mom refused to let her go to church or any activity. But we felt like passing by her home one day this week with a lady in our ward and they let us IN! We were able to teach Olenka about the plan of salvation (her mom escaped into the back room and wouldn't come out) and there was a wonderful spirit in the lesson. We were so happy!! Also Alejandro and Lucho, the two pescadores that were recently reactivated, were here ALL WEEK. The motor on their boat broke so the were stuck here while they fixed it. Bwahahaa!!! I mean..... YES! So we were able to get in and read the Book of Mormon and make sure they are on their way to the temple to be sealed with their families here soon! Had a fun family home evening too. Also, remember those two kids who showed up to church last week? Well, they BOTH came again this week! Luis and Jorge. They are so cute and love going to Primary. We stopped by their houses and their parents work pretty much ALL DAY LONG and their grandma takes care of them. But we keep praying for them that perhaps somehow they will all be able to hear our message! Thats pretty much it! The aunt of Hermana Cynthia was diagnosed with cancer and she has been SUPER taking care of her. We keep stopping in to see her and read the Book of Mormon with her family and little by little they are building their testimonies too! Also, I've got transfers!!! I'm headed back to Chimbote! Land of fish!! I'm super excited, but at the same time kind of sad. 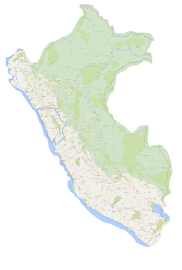 I absolutely LOVE my area here in Salaverry and my amazing companion Hermana Caldas. I have learned so much and will always treasure this place! Just a quick scripture to end. I've been reading in Alma and found a wonderful scripture in Alma 34:38-41. It speaks about how we should always give thanks for all that comes our way, be full of prayer and endure with patience. It's a great pattern to follow when passing through trials and difficulties. Look for the small miracles that happen EVERY DAY, be grateful, pray always, then develop patience to recieve all the blessings the Lord wishes to give us! I know that it works because it has heplped me through many hard times! Love you all and have a wonderful day!! Me and Hermana Pali with PEANUT BUTTER from home. It's like gold here...Thanks mom! Hope everything is going good all over the world! We had a bit of a slower week this week, but had a few funny experiences :) But first a quick update! Cynthia and her family are coming along bit by bit. Her daughters go to school in the afternoon and get home at about 8 pm, so its been a bit hard to get in to teach them. We've started slipping little notes under their door with a scripture and a question so that they keep remembering to pray and study the scriptures! Hermano Luis should be getting back in about a week or so, so we're super excited. Johan couldn't make it to church this week because he needed to work. His family is passing through some hard times and he needs to work. But we keep praying for him and I know that the Spirit will touch his heart and tell him that the real blessings in his life will come through the gospel. But Mercedes and Michell got up (by themselves) and were at church early! Well don't have anymore time and gotta go, but love you all soooo much! Real fast, a cool scripture I found is in Alma 32:40-43. I love how it speaks about the patience and faith and dilligence needed to grow our 'tree of faith' as Alma explains it in chapter 32. And the amazing blessings that await us when we persist in keeping ALL the commandments of God! Finally a shout out to my BROTHER who is heading out to serve in SPAIN!!!!!!!!! WAY TO GO DUDE! Funny story about the pictures. We were all up on these rocks taking pictures when suddenly A HUGE WAVE came and soaked us ALL!!!! It was quite funny!